The programme included discussions around Marine Spatial Planning, Sustainable Fisheries & Aquaculture, Regional Maritime Cooperation, Digitalisation & Data for Maritime Applications, Common Information Sharing Environment, Sustainable Tourism & Blue Bio-economy, Research & Blue Growth for mentioning a few. Participating in the exhibition, CoastObs was able to talk to many attendees and to increase the visibility of our project among the marine and maritime community in Europe. 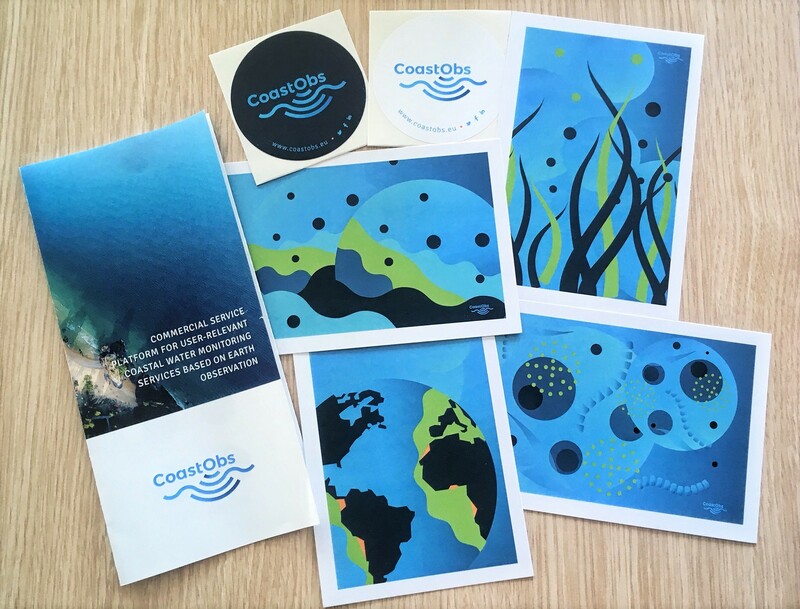 We gave away plastic free gadgets, gathered CoastObservers for our newsletter and we gave an interview to the EU Commission on Maritime Affairs & Fisheries. If you couldn't attend and you would like to see some of the flyers and postcards we distributed you can download the flyer from here or see the example of our cool postcard on phyoplankton below. Thanks for all the attendees that stopped to say hi and those that we saw using our caps and our bamboo mugs at the coffee breaks and even in the cocktail party! If you haven't followed us you can find us in Twitter, Facebook and LinkedIn. Until next year in Lisbon!